Click the button below for Permit to Carry information and applications. You can apply for a new application, renew your current application or change the address associated with your application. Click the button below for information regarding a permit to acquire pistols/revolvers. You will be able to apply and pay for your gun permit(s) online using this service. Permits to Carry The process is easier than you think. Permits to Carry are administered through your local Sheriff's office. All permits costs are non-refundable. Permit to Carry allows you to acquire weapons. Renewing your current permit to carry requires a fee of $25 and a valid driver's license or non-operator I.D. that contains your photograph and current address issued by the Iowa Department of Transportation. The permits are valid for five years from date of issue. If the renewal is denied, $15.00 will be reimbursed to the applicant. The Sheriff's Office will retain the remainder for processing and handling of the application. All applications for renewal MUST be received within 30 days PRIOR to the expiration and within 30 days AFTER the expiration of your current permit to carry. Also, your current, valid permit to carry must be issued by the Black Hawk County Sheriff in order to apply for a renewal permit in Black Hawk County. A duplicate permit to carry requires a fee of $25 and a valid driver's license or non-operator I.D. 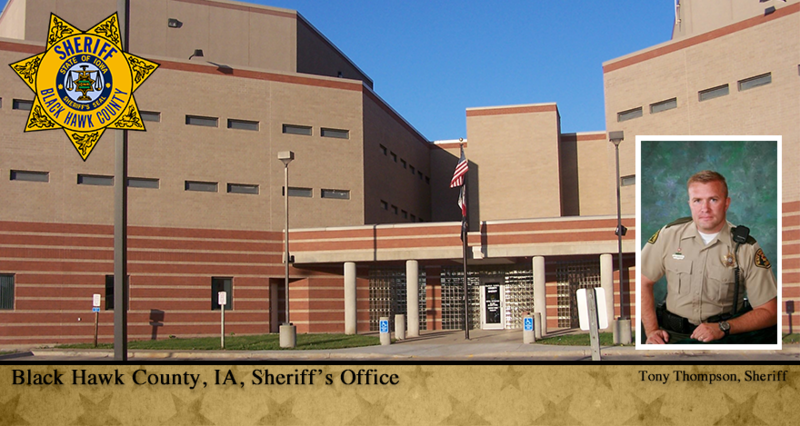 that contains your photograph and current address issued by the Iowa Department of Transportation. You may apply for a duplicate permit, in Black Hawk County, if your current, valid permit was issued by the Black Hawk County Sheriff. Use the duplicate application if you've lost your current Black Hawk County issued permit or if you've had a name change. You can also use the duplicate permit application If you wish to change your address (from an old Black Hawk County address to a new Black Hawk County address) BUT THIS IS NOT REQUIRED BY STATE OR FEDERAL LAW. Permit to Carry allows you to acquire weapons. You must be a resident of Black Hawk County and a minimum of age of 21 to be approved for a Permit to Carry. Click on the button above to start the application process. You must have a permit to purchase. To purchase a handgun, you must have an Annual Permit to Acquire Pistols / Revolvers issued from your local Sheriff Office. To begin the application process, click the button above to apply and pay for your purchase permits. This is not a license to carry a handgun.